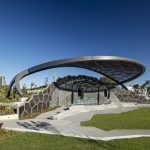 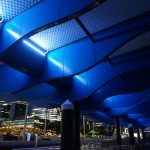 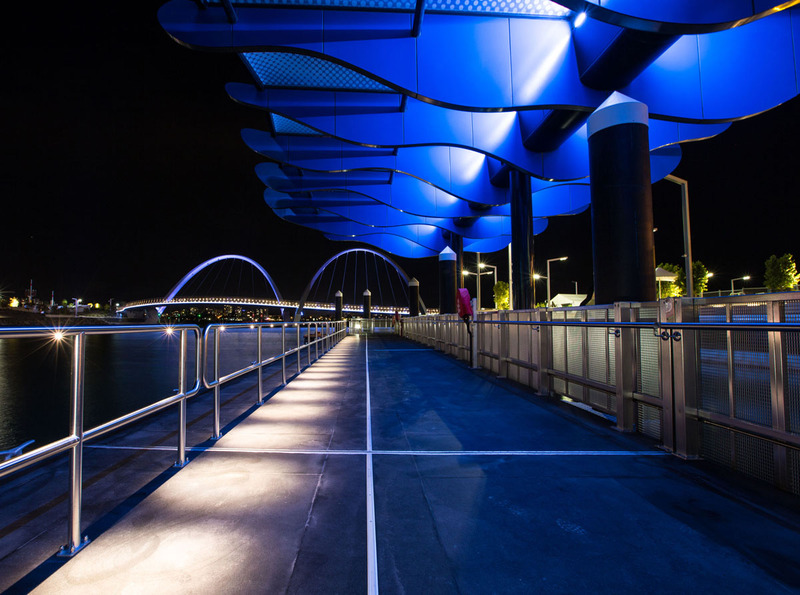 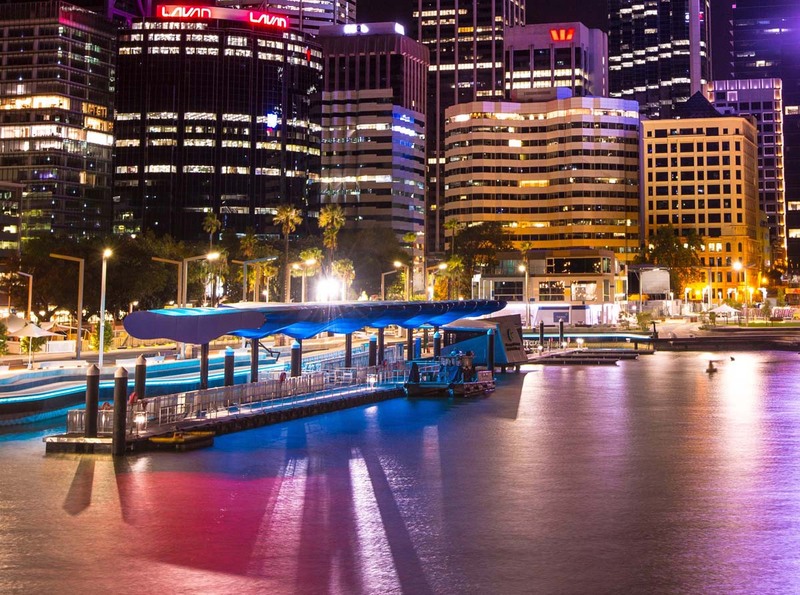 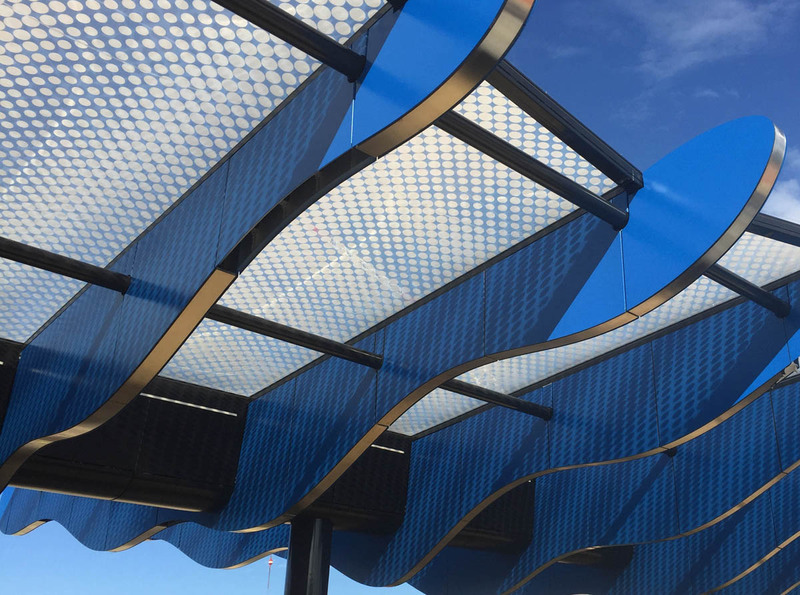 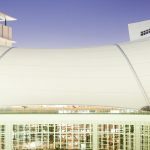 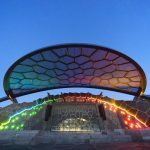 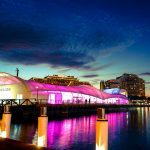 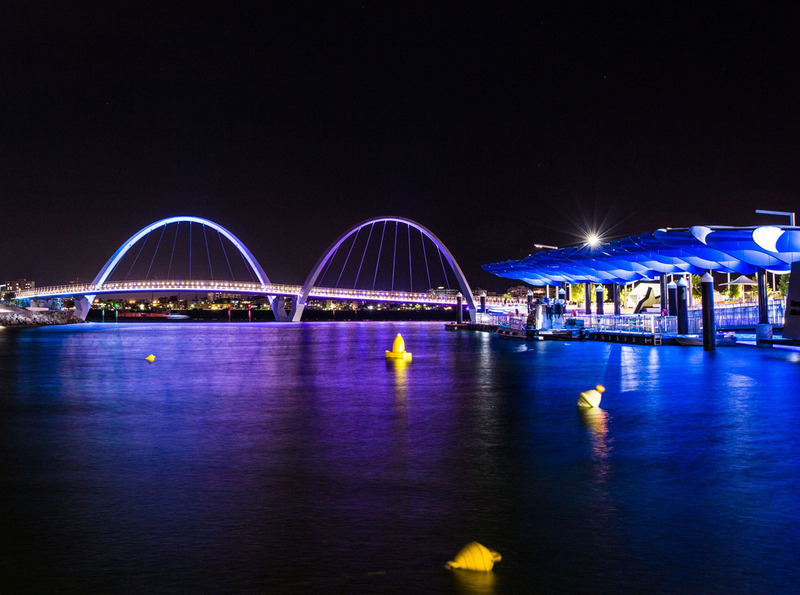 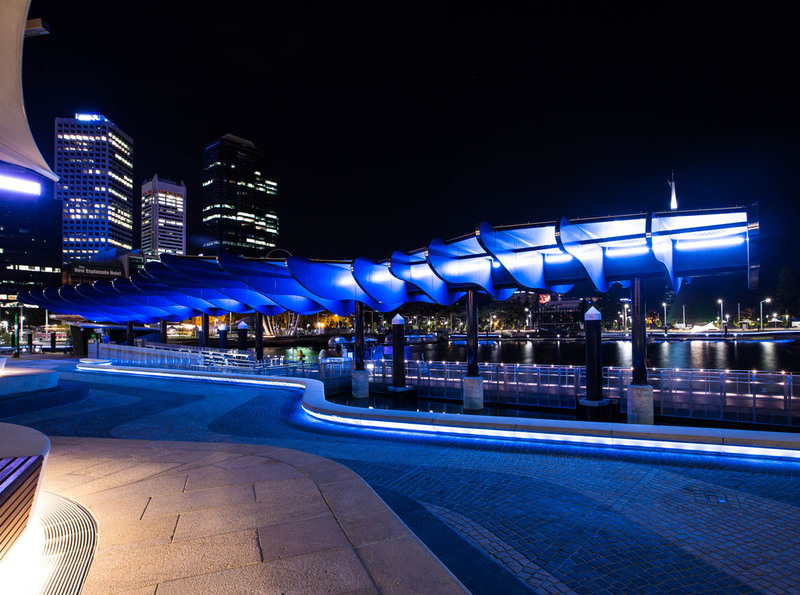 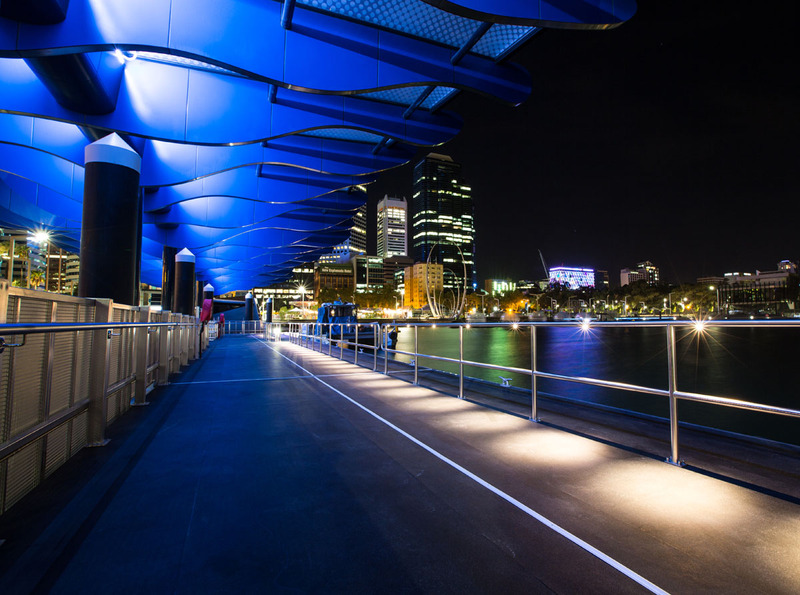 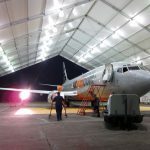 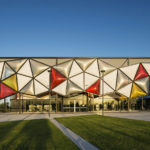 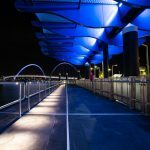 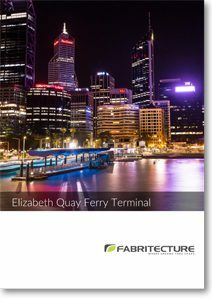 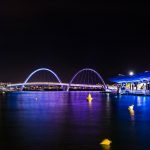 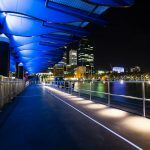 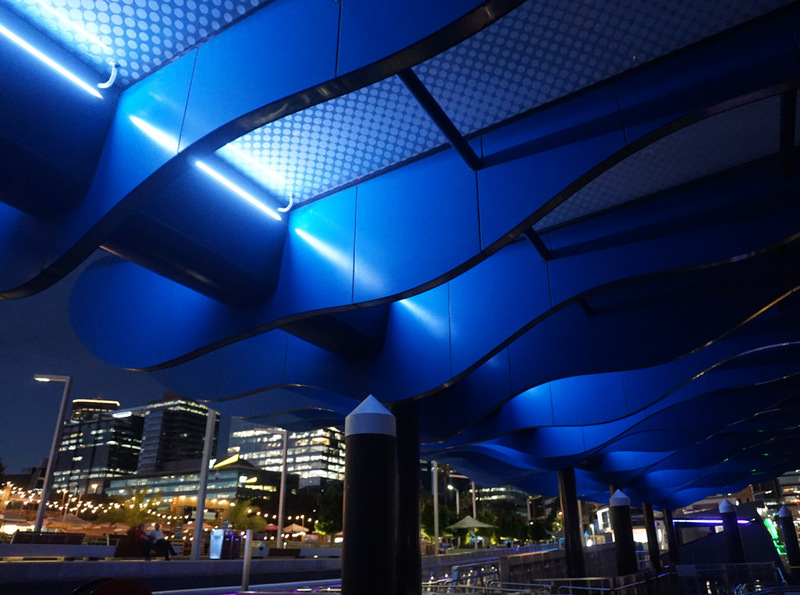 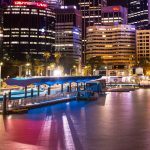 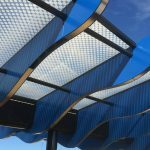 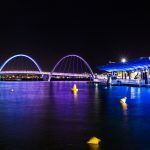 The Elizabeth Quay Ferry Canopy is an innovative fabric architectural ETFE structure with custom printed artwork and an effective aluminium cladding system that combined with an LED lighting system provide a functional hub for transiting ferry passengers. 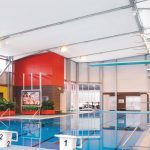 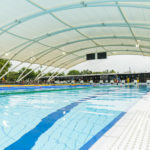 The roof is installed onto concrete pylons over a floating jetty system. 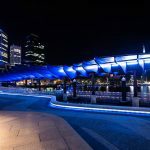 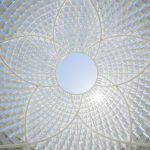 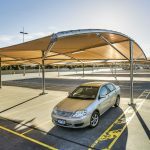 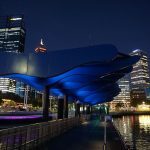 Fabritecture won the design & construct contract for the ferry canopy as part of the State Government’s $440 million Elizabeth Quay Redevelopment in the Perth CBD. 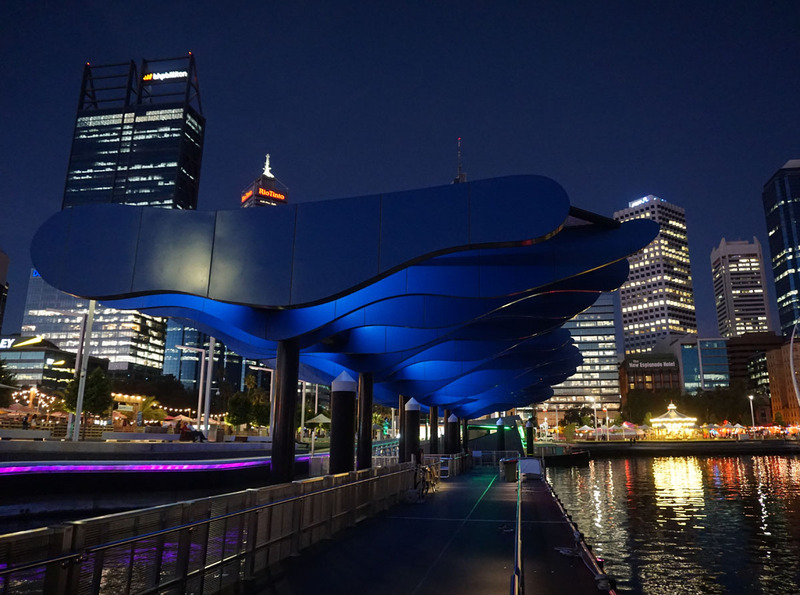 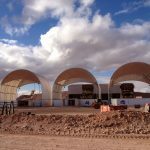 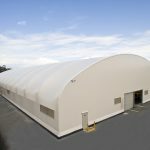 The purpose of the structure is to provide shelter for Elizabeth Quay’s new Ferry Terminal. 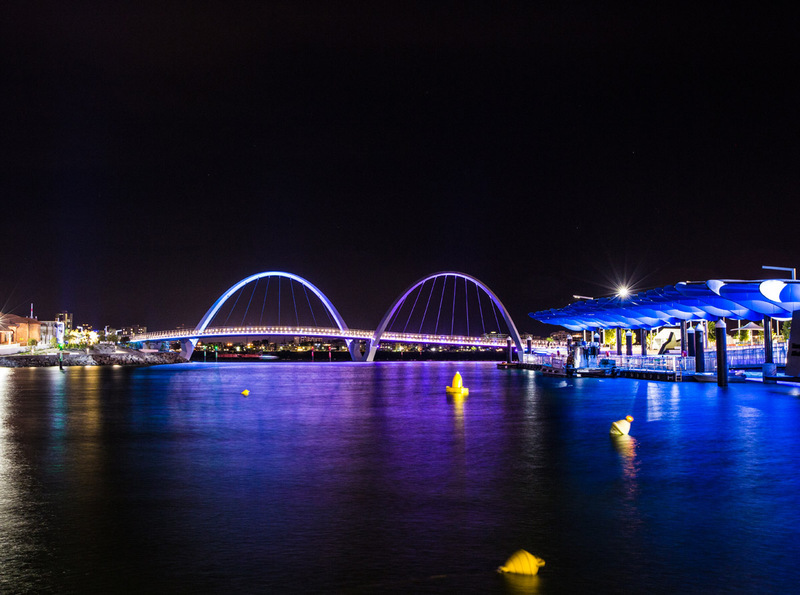 The steel columns sit on concrete pylons that stick out of the water with a floating jetty system underneath.